The adult coloring fad has taken over. And I tried. I swear it. I bought a book of awesome designs, fine tipped markers–the ones with the best reviews on Amazon–and a premium set of colored pencils. Within an hour I was bored to tears. This is not zen; this is tedious and frustrating hell. 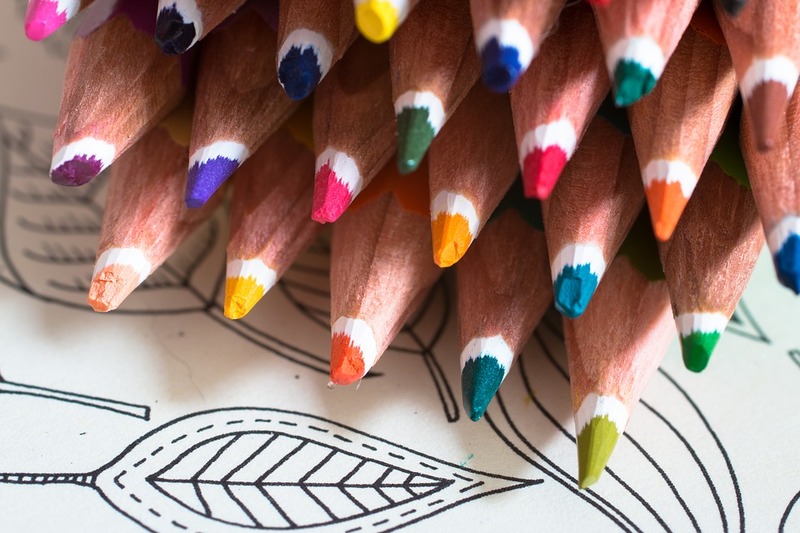 Just when I began to think there’s something WRONG with me, I read Wendy Woon’s piece from New York Daily News about how adult coloring books actually stifle creativity. Woon, an art museum educator, believes that such books teach us to color inside the lines and go against our “primal” desire as human beings to make our mark. I almost cried as I read Woon’s account of the little boy who wants nothing more than to color his kindergarten workbook squirrel purple and orange–outside the lines, of course–but who, in the end, is made to conform by coloring it brown. I’m not sure what I was expecting. I was that kid–the one who grew bored with coloring after five minutes and who finished the picture at hand with rushed scribbles in bold colors. I didn’t really like coloring as a kid…what made me think I would feel differently as an adult? Woon writes about a society that no longer wants to create–a society where clip art and coloring books are preferred over messy, imperfect creativity–a society where adults and children actually FEAR messy, imperfect creativity. I can’t draw a straight line. I never could. I got scolded for my messiness during bible school craft time. I got a C in my drawing I class in college. It took me long time to recover from those perceived failures and to rediscover my love art…my passion for putting color on canvas without any lines to get in the way…my desire to make a mark–an imperfect, messy, wonderful mark.